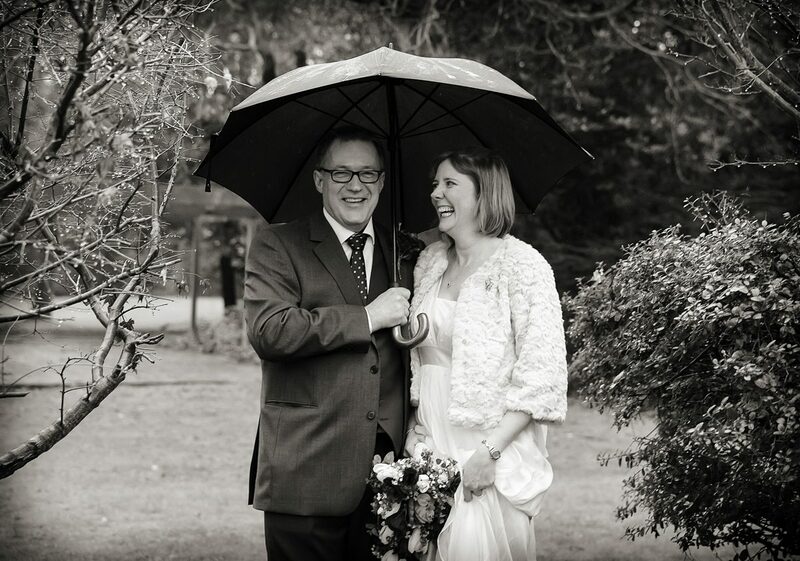 It was raining, it was pouring but this Bush Hill Park Golf Club wedding was never boring! Jill and Griff had a fantastic laughter-filled time with friends and family for their big day hosted at Enfield’s premier golfing venue. As a fairly private couple we have only included three images for this blog post to respect their sensibilities but wanted to say that despite the incessant heavy downpours that neither Joanna and I, nor Jill and Griff seemed to notice. All events from the civil ceremony, to dining, to evening reception took place at the club and went ultra smoothly, as the club is so used to hosting these special days. Popular with couples not just in Enfield and Winchmore Hill but north London and the Home Counties too. 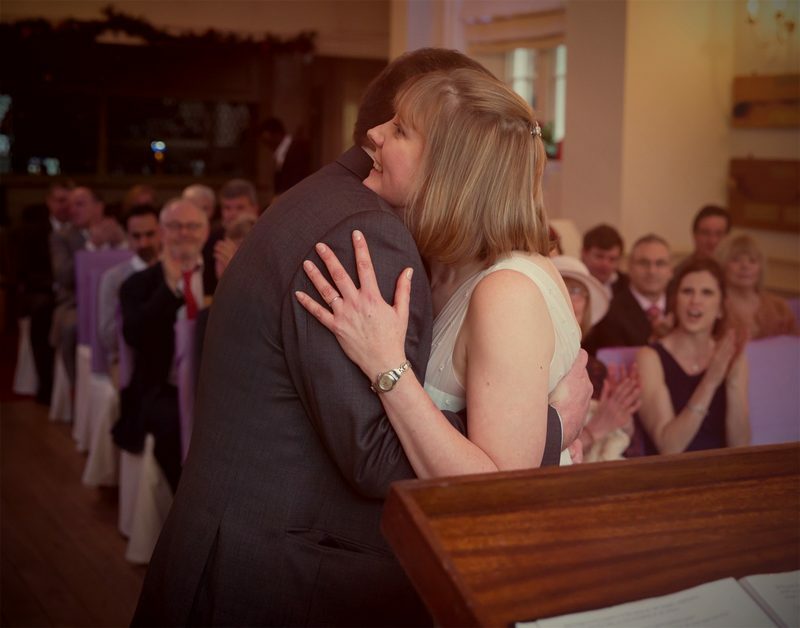 Chef Alisdair is excellent, as is Debbie – your very experienced and friendly wedding co-ordinator. 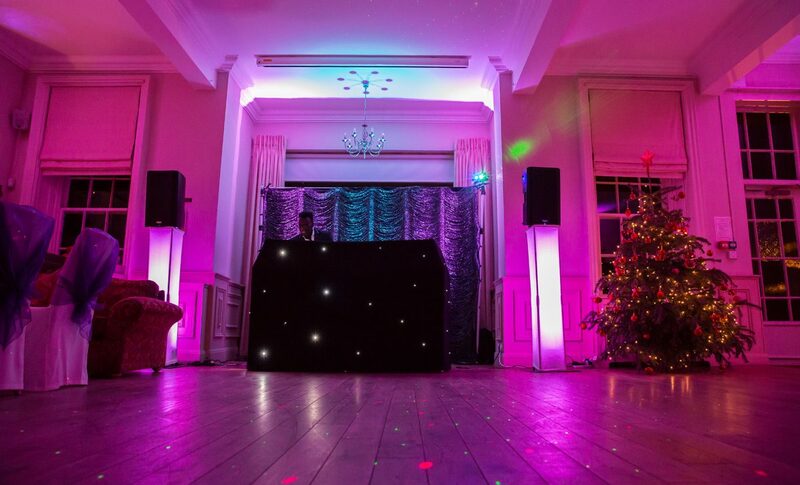 For all things DJ and Terry Lewis you can check out his website here: Wedding DJ.